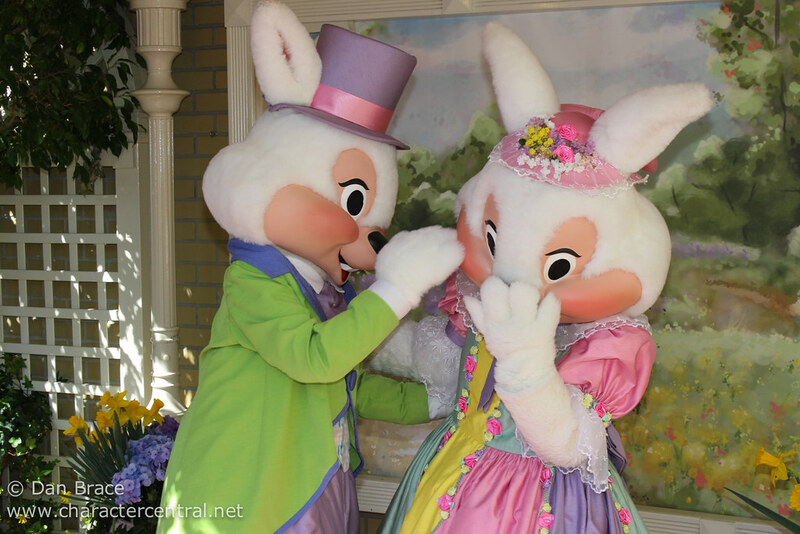 Grab your Easter baskets and hop along to the Tour Guide Garden in the Magic Kingdom to say hello to some very special friends! 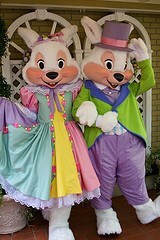 Mr and Mrs Easter Bunny are ready to greet you as they celebrate Easter, Disney style! 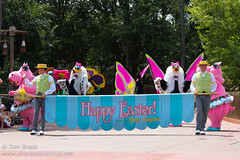 Later, join them and all their Disney pals as they celebrate Easter in the pre-parade, only at the Magic Kingdom. 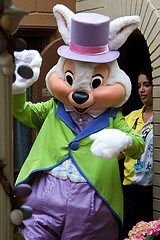 The Easter Bunnies normally meet on Main Street on the day of, and days immediately surrounding Easter Sunday. 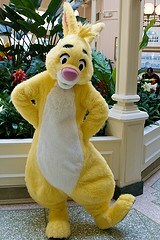 In the past Rabbit has been seen at the Crystal Palace Restaurant on Easter Sunday, but that can change at any time.